In less than a month into the Trump presidency, Michael Flynn, his national security adviser has resigned. The retired three-star general and former chief of the Defence Intelligence Agency quit, after there were indications that he tried to cover up the details of secret discussions he had with the Russian ambassador to Washington. According to reports, Mr. Flynn misled officials about the exchanges in a call made to the Russian ambassador, Ambassador Sergei Kislyak, before his own appointment and before Donald Trump took office. Intelligence leaks confirmed that he had secretly discussed US sanctions in the phone conversation, then attempted to cover it up. This charge was initially denied by the former national security adviser, and Vice-President Mike Pence had denied the allegations on his behalf. As pressure mounted and details of the phone call became clear, he decided to quit late Monday, in the latest occurrence in the dramatic developments that have characterized the Trump administration so far. This was after an earlier warning to the White House about Mr. Flynn’s link to Russia and the possibility that he may be vulnerable to Russian blackmail, says US reports. The Justice Department had pointed this out in a speech delivered by former Acting Attorney General, Sally Yates, when she was still in office before her dismissal from office by President Trump over his controversial travel ban. In the face of the lingering suspicions that the Trump election victory could be traced to Kremlin interference, this latest development is not exactly reassuring. On whether his resignation would steady these suspicions, it may be too early to say. 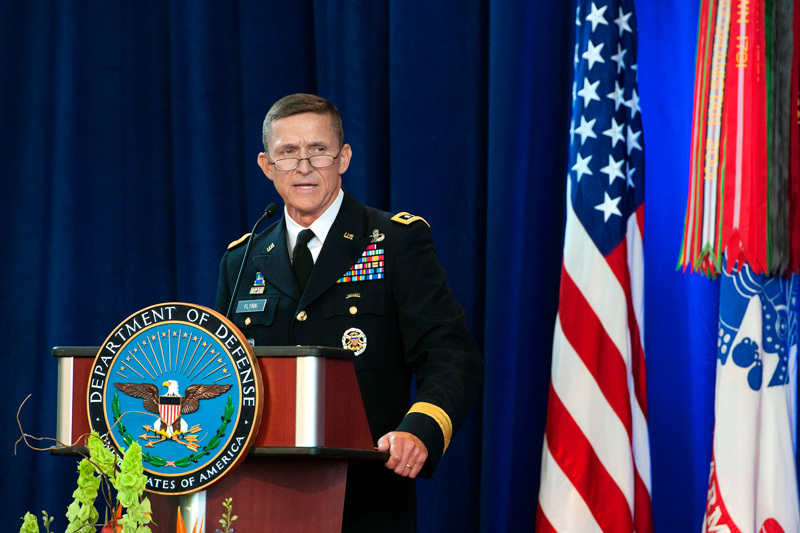 However, according to security officials, the leaks suggested that Michael Flynn had spoken of sanctions which the Obama administration was about to impose on Moscow for interference in the U.S. presidential elections. He had given the impression that the Trump administration would see the lifting off of these sanctions. In his resignation letter, Flynn admitted that he had briefed officials including the vice president incomplete information regarding the phone calls because of the fast pace of events as he carried out his duties as the incoming national security advisor. ‘’I have sincerely apologized to the president and the vice president, and they have accepted my apology,” he said in the letter. The Russian response to Michael Flynn’s resignation came in the form of a defence of Flynn by some Russian politicians. The head of Russia’s lower house of parliament’s foreign affairs committee was reported as saying that the target was Russia-U.S. relations. According to the Kremlin, it has ‘’nothing to do’’ with Russia as it is an ‘’internal affair.’’ President Vladimir Putin’s spokesman, Dmitry Peskov, told reporters that it was an internal affair of the Americans and the Trump administration. In the interim, Lt Gen Joseph Keith Kellogg has been appointed as a replacement. According to White House officials, Former CIA director David Patraeus and Robert Harward, one-time deputy commander of US Central Command are being considered for the post.